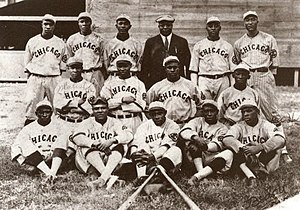 Today on News Radio WBBM of Chicago came the article relating that members of the Walter Payton College Prep baseball team are refusing to play for the present coach. The team captain brought the word out and if he is a good example the rest of the members will follow and that coach will not have the support of the team as a whole or members of the school community. Nor should he have their support as far as continuing him on the staff of the school or allowing anyone to play on a team run by him. If he is being a bully he needs another kind of support. It is hoped that the members of the Payton team will continue to set a good example, but they cannot do that unless they have first a new coach and second a full understanding of what happened between them and the folks of the Brooks College Prep community. A breakfast between members of the teams is a fine idea and was apparently a huge success, but it will take more than one shared meal of bacon, eggs, and pancakes to foster understanding and better relations. To be good sports it is essential that you begin with the first quality of what it means to be a good citizen, and that is RESPECT FOR OTHERS. These days it should never, ever matter what someone looks like or what they dress like or what their living situation is. Proverbially you cannot judge the book by its cover, so why judge instantaneously on someone’s skin color, someone’s mode of dress, someone’s accessories or hairstyle or anything else that is so changeable and variable. Respect for others means exactly that – showing civility, courtesy, and decency towards EVERYONE YOU MEET. Rules of civility and good manners have been written and discussed for centuries, so the topic remains important to the expansion of understanding of human behavior and interactions and societies. Respect for others also takes in the aspects of trustworthiness, accountability, honesty, service, duty, and responsibility, all of these essential aspects of being a good citizen. Baseball is supposed to be fun after all, and the element of the sport of baseball is the team. By its very nature, the term “team” implies that more than one person is coming together to work on something and to accomplish a goal. In the case of getting out there and playing a baseball game, everything about being a good citizen comes together – the respect, the trust, the preparation, the duties. Each member is expected to show up, to work out, to prepare by stretching and warming up and batting practice and fielding practice. Each member should be expected to come looking professional, with hair trimmed, with clothes neat, with a clean uniform, with no offensive odors or the wearing of fragrances that could cause others to sneeze or have allergic reactions. Once the members are assembled and the team meetings are over, when the practices are done and when the fans are gathering, that is when the rubber meets the road, or in this case when the batter’s feet touch base. When you are then in the presence of thousands of supporting fans, who have paid good money to come see you, who have driven, taken busses, maybe even flown in for the game, or walked to the ballpark; when you see them sitting back and eating the popcorn, the hot dogs, the sodas or the nachos or the corn dogs, then you know you have something to work for. That goal is not only to win the game but to be good sports, win or lose. And even when you lose the game score -wise, you never really lose the chance to learn, now do you? There is always room for improvement, as my father reminds me every so often, and he is correct. No team is perfect, no person is perfect, no sports program is perfect and no baseball park is perfect, so those who play in and come to those venues must expect that certain things will happen. But to understand that, the teams have to come out and play and the fans have to come out and support them. There can be no more of such incidents as have stained Chicago’s world of high school and college prep sports as happened the past few days. Fortunately there was an opening for reconciliation. There is one recommendation I would make for everyone involved in Brooks and in Payton, and that is to study NASA’s Mission Control. All the principles spoken of in this article are there, and you will find them, but on a different level. The people who designed and built and tested and worked with Mission Control really had a brilliant idea, and believe it, this is more than space science. Study it, learn about it, and apply those principles. President Kennedy gave us the ball to run with to work up the space program, and this nation took it, ran with it, and put a crew on the Moon. 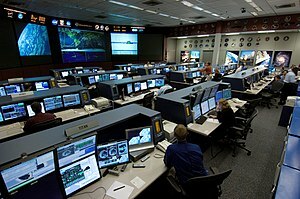 Mission Control then… Mission Control now. COLLEGE PREP SCHOOLS CAN PREPARE STUDENTS FOR MORE THAN SPORTS. Well now, the players from Chicago -area schools Walter Payton and Gwendolyn Brooks College Preparatory academies are going to sit down to breakfast together before their game this weekend. Now this is a story that is so convoluted it is hard to believe the people on the Payton side of the issue. First the Payton people said it was a “safety” issue, and everyone jumped all over that one (so transparent it was not hard to see what the REAL thought train was), and then it was AP exams, then it was a “transportation” concern. So you spoiled folk could not get a charter bus to get to the stadium? Sure. Ever heard of a carpool or hiring a van or taking a train and then some cabs perhaps? I mean come on; if you want to get someplace you CAN and WILL get there. And as to chartering a bus or one of those large limousine vehicles, there are enough companies around here with busses and coaches and limos to accommodate anyone. If they can handle conferences and the airports and the bus stations they can surely find a bus or a large van to handle a baseball team’s travel logistics. Also, you Payton people seriously dissed the people of the Ninth Ward and Alderman Beale and the entire school population of Brooks. You snubbed an entire community and smeared the culture of academics and sports because of a few places that have been in the news as violent or as tough parts of town. Of course you know that the moment you cross one inch south of the intersection of Madison and State Streets in the Loop you are on the “south side”. Just look at the address numbers. The “south side” does not start at Roosevelt Road and State Street; it starts the moment you cross south of Madison Street in the Loop. And do not get the mistake of thinking that the “north side” is perfect; violent events happen on the “north side” too if you pay enough attention to the news. Well, what now, Brooks side? After you have breakfast with the Payton players will you continue to want them off your schedule for good? Will this meeting over a meal help smooth out the situation and get everyone on good terms again, where you can focus on being good sports and on what baseball means and what being part of a team can do for everyone involved? I think you would be good sports and visit the Payton people on their home grounds even though the “north side” can be a violent and disturbing area of town. I also hope that when the game happens you beat the stew out of Payton and send them packing, tails tucked, with something like a score of 20 to 0. Get those base hits, get those home runs, get those pitches in there for strikes and when you get a hit run it out hard! RUN IT OUT, gentlemen, and run them right back north with the shouts of your victory echoing in their ears. Everyone can learn from what has happened between Payton and Brooks schools; every person in Chicago can wake up and take a close look and understand what the situation meant and what can be done to make sure nothing like this happens again. BASEBALL IS SUPPOSED TO TEACH GOOD SPORTSMANSHIP, BUT WHO IS NOT PLAYING THE RIGHT GAME HERE? What a pity that the demographers and the news media and the negative news spinners have brought the world of baseball to such a low point. Pity the students at both Walter Payton Prep and Gwendolyn Brooks Prep because the adults have made such poor decisions. Whether it was lack of judgment in proper scheduling that forced the conflict with exams and the game, or indeed racism and demographics overpowering the fine world of baseball and sportsmanship, whatever the cause, no one can get the story straight. Some say it is racism, others say it was a transportation conflict, and other say it was due to the Payton team members taking AP exams, or in some being suspended from the team – I have heard about every excuse there is to hear and none of them are making sense. The initial story is that parents pulled their kids out of the game due to concerns about safety when in the area of Brooks Prep. Come on, folks, Brooks is a COLLEGE PREP ACADEMY, with the same high standards as any other college prep school or how else would it earn that rating and accreditation? The first excuse of the story is most likely the accurate one: that parents pulled their team members out due to “safety” concerns. Well, what does that mean? Suspect number one is race and demographics. Well now, what can they say to Alderman and Manager Beale about that? He is as shocked as anyone else regarding that, and who can blame the Brooks coach for not wanting to ever see Payton’s team on his schedule again? EVER. Sports is meant to teach other principles besides showing up on time, looking professional in a uniform, coming ready to play, regular exercise and a proper diet, and being part of a team. Good citizenship principles play a major role, aspects such as respecting others, participating in community service, and being trustworthy and accountable, honest and vigilant. Being a member of a baseball team involves all these aspects. You have to be at your position on the field. You have to know how to play that position expertly so that you can catch the ball, throw it to the right person, and keep the other team from scoring. You need to know the pitches, the signs, the proper batting stance, playing conditions… just all kinds of factors in order to put on a good game. But you need to know that respecting the others on your team as well as the opposing team is the critical factor. I think both Walter Payton and Gwendolyn Brooks would be highly disappointed to see what has happened here. What then, will be the decision of parents who have their children at Payton Prep? Will some withdraw them from the rolls, as I would if I had kids there and this issue surfaced? Will they continue to keep them at Payton and make them live with the name of a school that has racist overtones and puts a negative spin on what is supposed to be good, clean, healthy fun and sportsmanship? Will parents of the team members withdraw them now? Makes them think, eh? I hope it does. Logistics of transportation? Bologna. 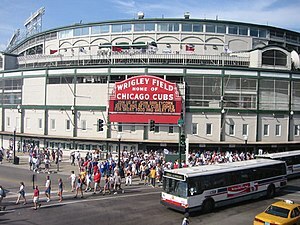 Anyone can get a van or a carpool together to transport a baseball team to a playing venue. The Payton people cannot pull that one over the eyes of the Brooks folks! What a pity racism and demographics overpowered the idea of playing a baseball game, something so American and something so basically easy to do. Gun Control and the NRA: Citizens, Take action NOW! Now it is obvious that the arguments of the NRA (National Rifle Association) regarding the Second Amendment and gun control and all the rest of the concerns revolving (excuse the word choice there) around “gun violence” are not complete nor are they accurate. First of all, banning certain types of weapons DOES NOT take away anything of the privileges we have in the Second Amendment, which gives us the right to bear arms. “Arms” can mean anything that is used to commit violence against someone using deadly force, strength meant to kill surely and not necessarily cleanly. It is DEADLY FORCE that is meant when someone takes a gun out and fires that weapon at a person with premeditated intent – they MEAN to KILL that person at whom the gun is pointed. It is ready for discharging and if the situation is upset enough the weapon will be used, and someone WILL DIE. The banning of certain weapons is not going to infringe on the Second Amendment, not at all. All the people of Sandy Hook want, and all that many Americans want, is to see the BANNING of certain types of guns and armaments accessories and an increase in background checks and details of said checks. The views of Chicago Police Department Superintendent McCarthy are correct in his five points, discussed some months ago in one of my previous blog entries. Now the police of communities across America cannot do all the work, the SWAT teams and the FBI cannot do all the work. These are the makers of assault rifles and high -powered weapons that are meant only for killing and rendering destruction and nothing else. What a waste of energy and material and time and resources, making such things and for people who many times are up to no good. 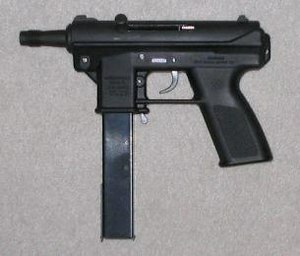 Among these manufacturers are Heckler & Koch, and their pages show plenty of deadly weapons, such as the G36, the HK 416 and the HK 417 and the MP7A1, and 40mm systems. Someone called Tactical Arms makes the AR-15 (ugh, what a terrible looking thing). Smith & Wesson are noted gun makers, and other companies getting press include Anyone curious as to how ugly and how disgusting these things look (why would you even want one anywhere near you to begin with) can go online and look at them. It is reported that some states have given gun makers subsidies. Article reference is at the end of this story. A list of such weapons is on Wikipedia (reference is also under RESOURCES at the end of this story). For recreation… boy, anyone who needs these things for “recreation” must really be seriously stressed out! To have to go to some shooting range or isolated part of the country and let off a few thousand rounds on a sign or a rock formation or animals is really a sign of a disturbed mind and the person should probably not have the gun in the first place … for who knows what might happen after that so -called recreational use of the gun? Are they priming for “further action”, or… what might they do next? People must step up and write their representatives to the point of stuffing their mailboxes with letters insisting on these bans of assault rifles, high capacity magazines, and also of the increase in background checks for gun shows and all types of sales that are made anywhere, when guns are sold or transferred in ownership, and especially to keep track of where a gun might end up when it is stolen. There are GPS methods to track down stolen cars… there should perhaps be a way to insert GPS into guns to track them when the chip is activated. Privacy issues will come up no doubt but for now the issue is what to do about the “military style” guns that are being made and put on our streets every day. On our streets we DO NOT NEED these assault weapons (though any type of weapon is really an “assault” weapon seeing that any sort of violence against another person is assault). We do not need in our communities the presence of the AR-15, the M-16, the Uzi, anything at all that is meant to take out many people as happened at Sandy Hook, as happened in Aurora, Colorado, and as happens every day in America as citizens allow gangs and corrupt people to take control of streets and communities for their drugs and their disgusting presence. You can certainly have a firearm in your home or business for protection, and in most states you can carry a gun under the concealed carry law. But you certainly do not need one of those machine guns for daily protection unless you are in a war zone. There are some parts of America that might be called “war zones” because those communities have endured neglect and are run -down enough for gangs and drugs to take hold. Good people will leave and the bad elements will take over and the citizens who are stuck there will be in deep trouble. Points aside, you can have firearms and you can certainly uphold the Second Amendment. You do not have to listen to the NRA when deciding on gun control, plainly and simply. The children and teachers who died at Sandy Hook will not be forgotten as long as parents are around, as long as caring citizens are here, as long as first responders have to pay visits to those types of scenes and make their reports. The record is there and the people of Connecticut have stepped up to tell America and Congress they are going to get tough for the gun control issue. Those members of Congress and those other representatives who get good grades from the NRA need to remember the children who are struggling to get good grades in school every day in areas plagued by violence and racial gerrymandering and government neglect. Those senators who are going to filibuster and not vote on issues to regulate the gun industry and ban the assault weapons are going to have to answer their constituents if something happens in their state on the order of Sandy Hook or Aurora or Virginia Tech’s university campus massacre. Those members of Congress will have to go before America and say that because they get an A rating from the NRA that they cannot support deeper gun control legislation that might save lives, that might keep our cities safer, that might take these guns out of the hands of gang bangers and criminals and violent people. They will have to answer the next time something like that happens if there is a next time. The Second Amendment must be carefully considered away from what the NRA says will happen if we get tougher gun control. Such controls will not take away our right to have guns if we want them. We can certainly go out and get a gun, take courses on how to properly use a gun, and register it properly and learn to clean and care for it. We can teach the kids about gun safety if we have them around the house, so that nothing happens in the way of the unfortunate incidents that have popped up on the news lately, with younger kids shooting friends or siblings or family members. Our esteemed wimpy idiotic foolish members of Congress need to get a backbone and act and pass tougher gun control laws immediately, no arguing, no filibustering, no posturing and no party politics. PLEASE people PLEASE do not do this to the good people of this country just because you are getting money and favoritism and perks from the NRA. They have their freedom of speech, they have their say, and you can listen to them with a grain of salt and then go on and pass the tougher laws. They have been heard and most people are tired of hearing them and their calling like telemarketers bugging people in Connecticut and with their daily comments on putting armed officers or teachers in schools. WE DON’T NEED THAT, NRA! So QUIT SHOOTING OFF YOUR MOUTHS! Go empty your lye mouths and your clips at some shooting range far away from civilized people and out of range of wildlife. Just please take your vague words and incorrect data and go away until you fess up and get on board with the people who have lost children, parents, relatives, friends, who have been terrorized by these guns and super -powered magazine clips. WE DO NOT NEED THAT! In memory of the children and teachers killed at Sandy Hook, Connecticut; in memory of the people killed at Virginia Tech; in memory of the people killed in Chicago especially the youth; in memory of the victims at Littleton, Colorado; in memory of the victims of the Aurora, Colorado, theater massacre; in memory of the people killed and wounded at the gathering of Gabby Giffords in Arizona… the hearts of the good people of America are with you every day. Reference for article regarding gunmaker subsidies: http://pinetreewatchdog.org/states-have-subsidized-makers-of-assault-rifles-to-tune-of-19-million/. Reference for rifles list: http://en.wikipedia.org/wiki/List_of_assault_rifles. Education and the Demographic Delusion: Think the Census is so Great? Now let us see here… what does education “mean”? ‘mid all the news and the talk and vague corporate chatter about the issue of “getting an education” we are not remembering the building blocks of what that has to do with us becoming good citizens in the first place. We need to take a deep breath, step back, and look at the whole idea of education from the beginning, in order to understand where our goals have failed and thus where we have failed ourselves and the children, the young citizens of America. The roots of the word and concept of “education” mean to “draw out”, “march out”, or “lead out”. In that respect are those who talk of the issues and concerns regarding education doing those things? What is getting in the way of progress and satisfaction? Then you can move on to… GRADUATION, which means what… yes, that’s right, moving up, taking higher, grander, greater steps. You have “gradually” gained sets of facts and skills that you can use to pursue a career and to grow as a good citizen. You have “made the grade”, taking the ups and downs of the learning process, the good with the bad, the late nights with the easy reading and the details with the attainment of the goals. Thus when you are able to walk that stage and think, “I GRADUATED!”, you have accomplished something special, walking in the torchlight that generations before have set up for you to follow. Now you can research, take their ideas and concepts and designs and make something new, do something different, and choose your path. Instead of saying this big-sounding talk of “get an education”, take it a different way and “BECOME EDUCATED”. The latter indicates that the idea of learning will always be with you if you are fortunate, every day, to take in something new and useful for your way of life. To become educated is a goal everyone should have. BECOME EDUCATED and LEARN SOMETHING! In Chicago this year, and especially in the past month, the concerns over the closing of many dozens of public “neighborhood” schools has drawn fire onto the Chicago Public Schools bureaucracy, and has resulted in name-calling and the use of foul language. What is behind much of this prattle about the closing of the schools and the possibility of the “public” school being replaced by the “charter” school? Many factors are to be considered, among them and what we might think of as the main problem is demographics. Far as this author can see, demographics focuses on separating and talking about people with regards to skin color/ “race”, religion, ethnic background, where they live, how much they make, the supposed concentration of certain people in a certain area, social and economic and gender aspects as well. Is such thinking helping or hindering genuine progress? Is not such thinking making us a country that is NOT united? Any kind of separation pits one person or group against another person or group when seen in the light of demographics- whether or not someone has something the others do not or that they want, comparing people based on what someone assumes a certain race or gender will want at a certain time of day, using language that makes someone seem dumber or smarter in comparison to someone from a lower social-economic background, and making other arrogant and insensitive assumptions based on the few people they see and what those people appear to do and stamping others of that look with the prejudicial factors. The people who are boiling in these issues need to learn some hard lessons, apparently. If education means in part “to lead out” and “to draw out”, and they talk about keeping the kids in their “neighborhood”, what does that say about those in control? They aren’t acting very EDUCATED, are they? What if the areas they are in now are more dangerous than the places where the new schools are? So what about the type of school it is that they attend- what about it? One school type is no better than the other- all of them can have problems. The important point is achievement and holding to academic standards and personal behavior standards. Best then to eliminate the divisive junk about “neighborhoods” and this stuff about “remember where you came from” and the rest of this “heritage” trash, than to continue the bickering based on such silly issues. Such demographic thinking does nothing good for anyone at all. As for this junk about “neighborhoods”, I don’t care where one area starts and another stops, what “race” or “ethnicity” lives there and who does not, what they look like or do or what kind of cars they drive. The government is guilty of fomenting division in this nation, you can see that. The Census is their way of trying to keep such divisive practices in the pipeline and because those in power push it at us we think it so good to fill out those forms and send them in. Why does “the government” want that information? Why do you think? They want to use those separatist statistics to parcel out “federal” money based on what race, color, creed, gender or ethnic group is in a certain school, workplace, or part of the country. They want to “help out” or “build that area up” based on those factors. And then they want to make it seem that they are doing those people good and helping them by giving them money, buildings, and parks and such. But is it helpful to think about people in those ways? But you must remember this: YOU CAN AND MUST LEARN TO GOVERN YOURSELVES! You can branch out and get away from this derisive, delusional talk; you can wrest control from these terrible thoughts and patterns, you can break the chains those demographers are putting on you. You can think positively and forget the negatives so fast you will wonder why you didn’t focus forward in the first place. You can stop thinking backwards and letting the Census and commerce and ad people keep hold on you. You can tell them, “I don’t like that way you portrayed X in this ad. It is not truthful and not every X acts that way!” You can tell them, “Your ad campaign and your business practices are highly offensive to X because of X!” You can write letters, you can stop watching the shows, you do not have to go to the movies and you do not have to take flack in the workplace due to some stupid demographic category. You can stop thinking that something is happening on a racial basis; you can stop pulling your bag back because you think someone is going to take it on the street just because they are walking toward you and looking a certain way. If they happen to be looking at your level, so what- people DO move their necks and eyes! You cannot judge why someone is looking a certain way and doing something! You just go ahead with your duties and tasks and let the guilty party realize their errors. Do you not presume, do you not assume, you just go about and take care of business. Let others “mind” the supposed problem, the offense that did not happen, the event that did not occur, their reasons behind their actions and their prejudices. People of Chicago, learn some lessons of your own! Grow up, get your goals straight, and then air your differences and your ideas. When you can learn to do so in a civil manner, when you can act like the educated people you think you are or want to be, then come to the table and sit down and act like people who want to be civilized. After all, who are you harming the most in the end? You adults, you officials, you people in control are not doing all you can to make the gang and drug areas less dangerous, then you say that closing the schools will put the kids in danger. Bologna. YOU are putting them in danger by being all talk and no action, or not enough action. You are causing more worry and harm than the good kids who want to learn and accomplish something no matter what school they attend. You could stop the gangs, get rid of the drug markets, punish the offenders in your family, and clean up your supposed “neighborhood” if you wanted to, if you were not saddled with corrupt cops and politicians and national red tape. What does that say when you want to keep them in the same areas they are growing up in, with “their own kind” and “their own type” and filling them with such limiting ideas? That is not the idea of being educated. Keeping them in their own boundaries means that they will not expand their horizons, learn about other cultures and people except from a book or some online page that might not be adequate in information or might be skewed in one or another way that would not permit the reception of more information from all sides of a story. To learn about others, you have to experience others. I was fortunate not only to learn about Asia but to visit China, Japan and Hong Kong in the middle 1980’s. Had I only read about these wonderful people or seen movies or television shows portraying some aspect of their culture my experience of Asia would be incomplete. As it happened I ate their food, tried their clothes, saw their homes and families, shopped in their stores, saw the local scenery and heard the language. I have experienced Europe and England and enjoyed the best parts of many cultures. Travel for certain brings a new meaning to the phrase “live and active cultures”. Even though an American child these days might not be able to travel due to economic trials, they can branch out and learn from people of the cultures around the world. There are many communities in Chicago from all over the place. You can experience Mexico, China, Japan, Turkey, Korea, Greece and India. But what I am talking about is simply mixing with other people, no matter what they look like or what they do. This talk of “Black”, and “White” and such other gibberish is trash talk and not suitable for educated, learned people or folks who want to consider themselves so and pass learning on to others. You must be sure your standards are not prejudiced by thinking “Black” or “White” or “rich” or “poor” or any other demographic category. Anything less than ridding yourself of backwards thinking is showing that you are uncivilized and far from educated; you will only pass on skewed information to the next generation and keep them limited, dumb and thinking on the same low levels as you are doing. What does that say to the students who want to branch out, who are tired of being hemmed in by so much talk of gangs, drugs, where one community ends or begins just because of who lives on certain streets or because of what the buildings look like or some other demographic detraction? What does that tell the serious learners who want to get away from thinking that someone who does not look like them is not “their own kind”? Their own kind is HUMAN and AMERICAN and that is foundation enough. What then do you want to do- keep talking or dig deeper and get more active in ways to make the education system better and more appealing and attractive and efficient? WHAT DO YOU WANT TO DO and WHY? ASK THE BASIC QUESTIONS! Ask who, why, what, when, where and how… ask what is essential and needed. You do not build the roof first after all; you start by laying a strong foundation. DO WHAT IS NECESSARY FIRST. Divi Logan for ®EDUSHIRTS, ©Chicago 2013. In the news the past year was the unfortunate incident wherein a disturbed man took an assault rifle into a school and shot to death 20 innocent young children and six teachers/ administrators before his life was ended. He also killed his mother, with one of the guns from her own collection, before going to the school. 28 dead, shaking the atmosphere of the small classic New England town of Newtown, Connecticut. Every time something like this happens, the call for gun control is renewed and the lawmakers have a look at it and the activists beat drums and give speeches and the priests and pastors speak about it in bulletins and sermons. But then, as the news reports, enthusiasm for deeper weapons control fades. THIS TIME THE LIGHT MUST STAY ON; IT MUST NOT BE ALLOWED TO FADE!!!! THIS TIME IT IS IMPERATIVE THAT THE TORCH BE KEPT BURNING. The lives of those children and innocents must be kept alive in our memories and our collective national consciousness. Otherwise the events of Newtown, of Aurora in Colorado, of other mass killings and shootings around the world will happen, be spoken of and spun in the news and the media, will give a bit of spark to lunchtime conversations and the evening discussions in the worship centers, and then fade into the background as other issues such as war, politics, and transportation are put in the spin machine for the mass media. WE MUST ADVOCATE FOR BANS ON ASSAULT WEAPONS NOW! Divi Logan, Nashville and Chicago, ©2013. Gun Control: What are the Issues? First of all, I pay tribute to the families and victims of the Newtown/Sandy Hook incidents. Good citizens, do all you can to assist these fine people in their hours of need for everything during the holiday season. It only takes one – we can begin everything we say and do and think in that way. One step to begin a journey; one person to start a security issue at an airport, or one bullet made to load a high -capacity magazine for an assault weapon. One manufacturer made one bullet, and then scores of others, skewing the scorecard against people and creatures and raising the monetary bar for themselves. One company made one assault weapon, and then scores of others, weighing the scorecard against living beings and bringing in extra money for that company. People 0, gun companies billions of $$$$$$$$$$ and bullets. Or in this case this week, people -27, gun control issues…. ad nauseam, we still talk, write laws, bicker with the NRA and with members of Congress. We still mourn, we still watch our young folks get shot down in our streets and stores, and we watch guns go off and kill people at home. We in Chicago get the weekly report of “gun violence” these days on News Radio WBBM, a tally of those killed or wounded in the city by the use of firearms. Many times the victims are teens, in the wrong place at the wrong time, hanging out with gang members or someone who might look like a person a gangster is after. Families are left to cry, to watch, to wonder, to identify the dead and, instead of planning birthdays or graduations or holidays, are planning funerals. Guns do not kill people, people kill people, the saying goes. Unfortunately, the gun makes the event faster, harder to deal with, painful, extremely violent and disturbing. But of course the Second Amendment gives Americans the right to keep and bear arms… but did our Founding Fathers anticipate the arrival of such extreme weapons as those we deal with today? Ammunition -based and shrapnel – containing weapons have been around for centuries, tanks, crude muskets, cannons, blunderbusses, rifles, grenades, land mines and the like. The basic handgun comes in many forms, in use since the days of the American “wild west” and long before, for duels and such. Militias got along just fine without the use of machine guns… so why do we need these overly -powerful weapons to begin with? What is the need to mow down anyone in that way? War was going on long before the assault weapons and the fighter jets with their high – round capabilities came along. People used slings, stones, swords, spears, pikes, catapults, shields, armor, maces and such. What will our trusted elected officials do now in the light of what happened at Sandy Hook Elementary School? What issues need to be considered and what needs to be set into motion to reduce the chance that such a tragedy will not happen again anywhere in the world? What will we do as the “Fast and Furious” scandal continues, and as people purchase at gun shows and online without much if any criminal or background checking? Who will monitor what goes on? Who can say at the moment what the answers are? We must hear everyone out, consider all the options, and start to make sense. Divi Logan, Nashville and Chicago, 2012. Teachers’ strikes, dropouts, standardized test scores as a criteria for judging achievement… funding or underfunding for certain school districts or in certain areas; we are hearing so much related to the education system that it seems a step back and a look from other angles is warranted. In this case the sooner the better. The education system is experiencing waste of billions of dollars a year and so many hot -button issues that there are obviously flaws, shortcomings and corrupted elements in the system as it now is. I thought it a challenge to take one of those different angles, one which is skipped around in the news these days in the face of talk of competitiveness, longer school days or more hours added to every day, “learning” goals, test score goals and the like. If the United States education system is of sorts a laboratory to try and get people “standardized”, “normalized”, and put them in the state of losing their individuality and their uniqueness and their special gifts and talents in order to make everyone follow a sort of herd mentality, then I suspect that these failures are part of the grand experiment. There is control and observation in any experiment; there is learning from what goes into the experiment, and then there is how the results are disseminated and whether or not everyone who needs to know the facts is let in on said facts. As observed, the hot -button topics are just that, methods to quickly incite people to strike, to cause other forms of trouble in talking about funding, resources, hazing, bullying, vandalism of campuses, etc. There are part of the problem… and if there is one thing then there is its opposite, there is a solution. Establishing policies on federal financial aid for education, and distributing as well as monitoring those funds. Collecting data on America‘s schools and disseminating research. Focusing national attention on key educational issues. Prohibiting discrimination and ensuring equal access to education. Now perhaps to some these goals are well and good and sound complete enough, promoting achievement, preparing the students for the worldly workplace, fostering excellence and ensuring that everyone has equal access… but to what, we must ask. There can be equal access to the lane of a highway, but those who are using those lanes must cooperate to ensure that safety comes first, that it is all right to merge and that there is nothing going on that blocks one’s clear passage down the road. Thus there can be equal access to any resource that deals with providing students with the proper education: paper, school buildings, proper lunches, energy, water, science equipment, books, school nurses, music instruments, band uniforms, bus transport, sports uniforms, etc. And what are the “key educational issues” spoken to in the goals of the USDOE? Why also are they talking in language that speaks to past failures, such as adding the words equal access, discrimination, financial aid, monitoring funds? Have we not yet become civilized enough to ensure that such issues can be as everyday as breathing and eating, things that can be taken care of without worry and concern clouding every move someone makes when money is an issue or when the idea of proper funding or the right kind of research is brought to the front? What are we researching, as well; what sort of data are we collecting and for what purpose are the data being collected? The Census collects data regarding national demographics and then what happens with that data? When you gather information on something, what is the intention for which you do that research? Is it to talk up some sort of “diversity” issue and fund or not fund businesses based on the kind of people they are hiring and what neighborhood they are in and what they sell; is it to use the categories we use to separate people (race, religion, marital status, economics, education level, ethnicity) and then give a company or organization funds based on those divisive aspects? We talk about preparing students to be “competitive”, but what comes before learning to fight someone or get into competition with somebody? Well, before you can get onto the plane that takes you to the battlefield you first have to learn to work with the people you will be in the same unit with. Take the basics from the classic TV show, “Gomer Pyle, USMC“. Before the recruits have any access to weapons or to battle, they must first learn to be a platoon, to drill properly and in step, and follow the clear commands of the leader. They must learn and practice military courtesy, a requisite for working together in a disciplined, civilzed, and respectful atmosphere. They must learn to dress appropriately, to do things at a certain time in the right time of day or night, and to be in the correct place at the ordained time. The point is the recruits must learn to work together and cooperate first. They tackle the obstacle course, take other training, and play the occasional joke on each other, but in the end they cooperate and become an honor platoon. That’s enough to make even the hardiest soul want to reverse course and go to another part of the battlefield to get another view, and that is what this series of articles is going to be about, that view of our education system that takes a challenge to the talk about competitiveness, business, global this and that, and such, and get to what could be considered the heart, the center, the cornerstone, the foundation of the matter. This is the goal of preparing students in an atmosphere of teamwork and cooperation, that they may become productive and good citizens. Thus what is needed is to explore what it is to be a good citizen and what the USDOE is or is not doing to foster this essential element of what it means to live in any country and practice the duties that come with being a good citizen. Just as it is the duty of a recruit to learn to drill properly, to listen closely to the commands of the drill instructor, to learn to clean a rifle properly, and to learn the general orders, so it is the duty of every good citizen to learn how to get along with others, to follow the law, to keep up property in orderly appearance, to keep up with community issues and participate in improving one’s city/town/village, and other important aspects of being a proud citizen… a proud participant, that is, in one’s national happenings. It is, simply, having what is known as patriotism, or national pride. Are community -minded and work to improve the areas we live in; Do not use violence against others; Keep up our properties in neat and orderly appearances; Follow the law for the safety of ourselves and others; Do not cause trouble for others; Behave respectfully in public (in transit, while shopping, at worship, dining out, just walking in the park); Keep up with current events in order to stay informed on important issues; Exercising the right to vote; Respect others; Follow the principles of trust, accountability, and decency. We endeavor to live quiet, humble lives, do our work well/ perform our jobs in a timely and orderly fashion, keep up with national events in order that we know what to discuss when an issue of importance arises or when natural disasters threaten our fellow citizens, and we are concerned for the safety of others, and that we respect others. This means the best of what it is to be ‘civil’ and ‘honorable’ and ‘duty -minded’. You could also tie these facets of behavior, thought, and action into the principles followed by the folks of NASA’s Mission Control. Good behavior is vital the completion and success of any plan and the satisfaction of the participants. The goals of the Moon Program at the outset were twofold: to put man on the moon AND return him safely back to Earth. Had that second part of the plan been lacking, what would have been the point of the first? There is so much tied into ensuring the goals of our education system are proper and thoughtful, so that no more resources are wasted – no more time, money, hours, paper, energy, diesel fuel, food, anything. Failure is not acceptable (read Gene Kranz’s book, Failure is not an Option). If we are talking up a system that has more holes than a Swiss cheese, more flaws than the worst – quality diamond, and more ruts than the surface of Mercury, a system that plainly has so many cracks that anyone could fall through them, we need to take a reverse course and go to doing the whole system all over again. After all, it would be rather silly to build the roof before you build the foundation of the house. And even then, it would not make sense to start on the house before the ground is prepared to receive the building materials… and naturally one must make a budget before even one order to the builder’s supply shop is placed. 1. United States Department of Education. Overview and Mission Statement. http://www2.ed.gov/about/landing.jhtml. Accessed December 4, 2012. Page 1. 2. An interesting site came up during my research: Citizenship Counts, at http://citizenshipcounts.org/index.php/about/vision-statement/. Divi Logan for EDUSHIRTS, Nashville and Chicago, ©2012. 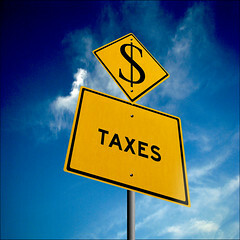 Taxes and the Fiscal Cliff: No New Taxes! Take one part non-cooperation, another part stubbornness, another part arrogance, dish in pride, politics, corruption, envy, malice; in other words those seven deadly sins no one wants to talk about because we SOOO want to separate church and state, and you have the most uncooperative Congress in decades running this country. And they are running this country into the depths of recession, depression, vague talk and gibberish. Those elected, ELECTED, representatives of ours who are taking up an awful lot of money in the Capitol every day and not doing their jobs, are wasting more money than they are worth. They are not making the good effort; they are keeping the lights on, the water running, the kitchen working, the workers staffing, but they sit there letting politics and figures get in the way of why they are there! Look, ladies and gentlemen of the Congress, if we did our jobs as sordidly as you have done yours, constantly bickering, arguing, loafing, lazing about, talking up blaming this or that person, we would have long been fired. Had we wasted resources and time on the clock as you have, we would have been out of work a long time ago. As it is, we let you sit there in the ivory tower, give you all this power, and somehow we expected you to do the right thing, to make the nation better, to be cooperative and to show some backbone and teamwork so that we can grow as a nation. Instead you keep talking up this or that set of taxes and budget cuts. Well the last thing we “average Americans” need is any more taxes. You up there in the hallowed halls of government need to seriously trim your budgets, your pork projects, your salaries and benefits and insider deals that make you among that top percentage that you don’t want to be taxed. And no wonder- why would you want to lose that juicy bottom line of benefits, perks, and deals you get every year? You people don’t care, that’s the right of it. You have all you need in money, in benefits, in salary, in TV time, in health care, in food and travel and beverages, and parties, in the gala atmosphere of high society. You don’t care about the real backbone of this nation, the people you are about to raise taxes on, who can’t afford to pay any more in taxes without seeing you make the belt -tightening moves that you expect the rest of us to make. You representatives, you senators, are about the most insensitive and uncaring, arrogant and shameful people I have ever seen. You cannot work together, you argue with the president, you bicker, you lie, you do anything not to make an agreement that will save this nation from serious ruin, from going over that fiscal cliff. You will go over it too, believe it, when you have to tell your constituents why you acted (or did not) as you did, and voted as you did, and spoke to the world as you did, why you refused to agree on cutting this or that, why you could not see beyond the party lines and work for the best of the nation. Best make some serious budget cuts before even thinking of taxing anyone, no matter what they make or who they are. Adding new taxes to anyone’s level of living will compromise business, spending, the economy, travel, everything, right down to the quality of education we provide our students. The ultra rich who have everything and don’t have to worry will go about their holidays decorating, giving presents, having lavish banquets and installing gigantic trees and displays and such. They will not suffer, even though the people who staff their stores might have to cut back because they could not get a cost of living wage increase. You CEOs and government bigwigs can have your holidays, your talk of “the holidays”, your store displays and your pushes to have “the holidays” start two months early, but the people who work for you… what do you think they will do as thoughts of paying higher taxes looms? Elected officials, it is time to make some cuts that will serve everyone better in the long run. How much do we need to put into the State Department, anyway? How much into landscaping Washington, D.C., in redecorating, in travel expenses, in luxuries that you can enjoy but that everyone is not able to share in? Get off your elitist high horses and come down to see what the rest of your fellow citizens are doing, the hard- working among us, the backbone of this nation’s workforce are doing, the people who get up, take the train and bus and come to work in the stores that make up the companies in your constituencies. Come and see what the tax base of this nation is up against because you complain, filibuster, blame, point fingers, shout and pout and refuse to cooperate. We are tired of the fiscal cliff chatter, we are tired of you doing noting but chit -chat about it and about how each the other party is doing that or is not doing this. We are tired of the vague talk, the generalities, the arrogance you constantly display on our TV screens and across our airwaves. You Pharisees, you seriously arrogant jerks, time you came off your high horses and out of your golden castles to see what the rest of us are doing to try and keep this nation running every day… every WORK day. It is time you started to care. Chicago Schools Adopt a Uniform Policy? Citizens who see their tax dollars spent in the schools wonder about the students, about the disparities, about the “diversity” issues, the cultural and the ethnic issues, about so much it is a wonder anyone knows where to begin or what to talk about. Yes there is a need for an elected school board and I hope the referendum is put on the ballot this year, but the issues of education are so much deeper and essential than officials bickering, or about policies about how to run a school or a district or about the hiring of teachers or the status of principals. There is one thing the Chicago school system can do and should do right away to facilitate learning and make the environment easier for everybody- and that is adopt uniforms for every public school. Now it might seem that the big-time and expensive clothing companies would take a hit because of the teens and parents not shopping them for school clothes, but what some people think of as “school clothes” are not appropriate to the learning environment and cause more distraction than advantage. If you are a student, consider this next part carefully. Uniforms would make distinctions between rich and poor, neighborhood and area non-important, reducing a lot of distractions right away. No matter the color you are, the ethnicity you are, the goals you have, wearing a uniform is a good idea. Think of the benefits right away- you are thinking as a professional, you are working as part of a team, you are not distracted from your work and thus are able to concentrate on your studies. Uniforms are used to great effect in other nations to reduce just such distractions as presently infect the American school system. Thus a uniform can also be a source of pride, just as any other type of clothing can be. A uniform tells you that you are part of a team, that you do have something to offer, that you are part of something really great and big and of national importance, that you can be a winner and help others to achieve and grow. You have come ready to give your input, to work hard, to put in those hours of practice and reading and shop and writing and spelling, with the graduation goal in sight. You will, every day you are doing your best, bring pride to yourself, your relatives, your parents, your classmates, your community, your school, and to your country. As for the clothier, you would not lack for business. After all, the students can change into other clothes once they are home, or for travel and vacations and other occasions so the money is still there to support your businesses. The high-end sneakers have to wait; the short skirts and bold colors have to wait; the heavy jewelry and big watches have to wait till the end of the school day or week or other times for display. As far as is possible, distractions must be reduced in the formal educational environment- the school campus at every level. Distractions also include talk of ethnicity, of being such and such an -American, of neighborhood, of gangs, of turf wars, of demographics in other words. As a student, as a progressive parent, and especially as a leader, you have the chance to tell the demographers to take a back seat, that there are other more important issues to think about than the above useless aspects of society. Time to set those non-essentials aside so you can understand what the ESSENTIALS are. What are the essentials? Let’s think about it in terms of a baseball team gathering to play. The players get up, perhaps they eat together and have a pre-game meeting, then they assemble in uniform to warm up and stretch and take batting practice. Soon they are ready to play, and each has his role on the field and in the batting order. Each player must know his role without question, to know what a shortstop does, where his area is to cover, and to either call for a catch or signal that he cannot find the ball and leave it to another player so to do. The players must remember how many outs there are, what the counts are, where the opposing base runners are and what to do if a ball is hit in the infield. Sounds simple perhaps, but for many it takes months or even years of rising through the levels of the game to build the professionalism it takes to be a good major league player. Another example is a symphony preparing to perform. Now not necessarily is it that a professional symphony has a “uniform”, meaning to say that each person has to dress exactly the same. For the gentlemen of the Chicago Symphony, dressing alike looks easier than for the ladies of that excellent institution, who appear in black for the most part but whose clothes are not so much like in appearance. Some have a little sparkle, some have lace, some have soft pants- the styles vary. But most important is that they come comfortable, looking professional and ready to play for an appreciative audience, an audience that knows how hard those players have worked. Thus the CSO assembles on the stage at Symphony Center. They have mastered their instruments, prepared, tuned, rosined, assembled, polished those instruments and bows and now have come out to get ready for the performance. After a pre-concert conversation in which a speaker enlightens patrons on the selections for the evening, the audience gathers in the auditorium. Now the lights change, the announcements are made, and the Concert Master comes out to prepare his troops for the show. The tune up happens, everyone is then seated, and out comes the conductor. What we in the audience will then see is the culmination of years of hard work, of hours of rehearing and fine-tuning and practicing, as we hear the notes of Beethoven’s Eroica, or the Pastoral, or the rousing notes of Gershwin. There are no distractions- there is only the sound of wonderful music, the sharing of culture with hundreds of others, and the appreciation of years of dedication crystallized into a small span of performance time. We came, we saw, and we enjoyed! Thus what then about uniforms for all Chicago students? It is a good idea that is long overdue and must from every aspect and facet be considered for the benefits. Divi Logan for ®EDUSHIRTS, Nashville and Chicago, ©2012.